1300 calories Satisfy two cravings with one mouthwatering dish. It's a 12-ounce fire-grilled, peppercorn-seasoned New York Strip paired with a roasted rock lobster tail. Served with your choice of side. 1790 calories Wake up your taste buds with Cajun-spiced chicken in our famous creamy garlic Alfredo sauce, served over linguini. It doesn't have to be taco Tuesday for this fiesta: three soft, golden tortillas stuffed with either Maritime lobster meat, fresh tilapia, shrimp or chicken, and topped with slaw, jalapeno ranch, house-made pico de gallo and cilantro. Served with your choice of side. 470 calories Don't let our name fool you — we also make a mean steak, like this 7-ounce sirloin. Lean and packed with flavor, we season it with peppercorns and throw it on the grill until its cooked how you like it. Served with your choice of side. 450 calories This chicken dish is anything but ordinary. We brush a chicken breast with a maple-cherry glaze that's a touch smoky and sweet and then grill it to juicy perfection and serve it with your choice of side. 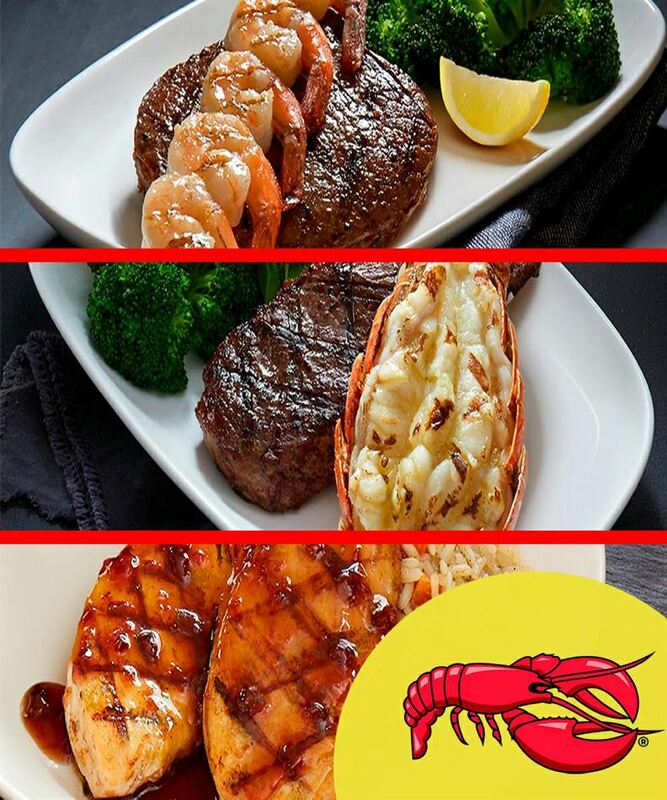 A juicy sirloin fire-grilled to perfection, plus a fire-grilled shrimp skewer or savoury garlic shrimp. Served with your choice of side. It's a little surf, a little turf, and a lot of delicious.